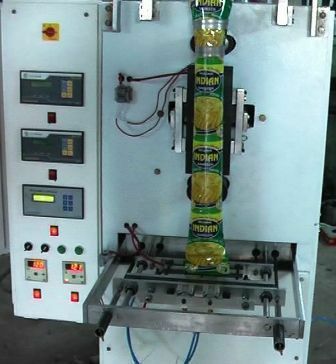 Imagic Solution Provide easy to operate, user friendly Pouch Packing Machine. It comes loaded with a host of user friendly features like programmable set points, dual feed for accurate filling, provision for external start, cumulative batch and quantity Setting, password lock etc. Automatic Form, Fill and Seal machine with unique online telescopic cup adjustment system to pack various Granules and Powders like Sugar, Salt, Tea, Spices, Gutkha, Ayurvedic Powders, Milk Powder, Detergent Powder, Mouth Fresher, Tobacco, Pharmaceutical Tablets, O.R.S. Powder, etc. in laminated pouches. This machine comes in four variants-Jumbo Pouch Packing Machine, Direct Bagging with Sector gate, Direct Bagging with Screw Feeder for filling powders and Pre-weigh and dump bagging. Their main areas of applications are Powder, Flour Mills, seed, Fertilizer, Wheat, Rice Mills, Any free flow Material and Chemical Industries.